Littelfuse, Inc., introduced two series of AEC-Q101-qualified, unidirectional TVS Diode Arrays optimized to protect I/O and power ports against electrostatic discharges (ESDs). SP1053 and SP1054 Series TVS Diode Arrays (SPA Diodes) integrate avalanche breakdown diodes fabricated using proprietary silicon avalanche technology to protect each pin. These devices offer the unique advantages of being unidirectional and hermetically sealed in compact, 01005-format plastic packages; both of these features are firsts in the TVS diode array market. These robust diodes can safely absorb repetitive ESD strikes at ±8kV (for SP1053) or ±30kV (for SP1054) without performance degradation. Additionally, each diode can safely withstand 1.0A (for SP1053) and 2.5A (for SP1054) surges at a very low clamping voltage. 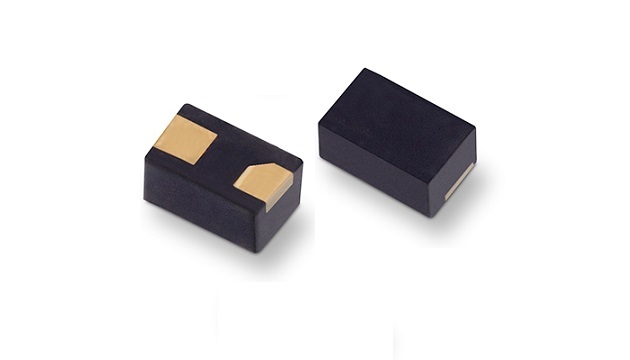 Typical applications for SP1053 and SP1054 Series TVS Diode Arrays include mobile phones, smartphones, camcorders, portable medical devices, digital cameras, wearable technology, portable navigation components, tablets, point-of-sale terminals and identification modules. The combination of plastic packaging and a compact, 01005 footprint is a market first for protection devices and prevents solder shorts between the terminals, abrasion and moisture intrusion that could interfere with ESD protection. These unidirectional TVS diode arrays have just half the dynamic resistance of bidirectional solutions, protecting sensitive ports faster and better. 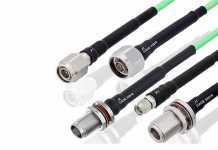 The ultra-small 01005 DFN hermetically sealed package offers a new choice to circuit designers who have been challenged by competing smaller-format end products. SP1053 and SP1054 Series TVS Diode Arrays are available in DFN, 01005-format plastic packaging in tape and reel format in quantities of 20,000. Sample requests may be placed through authorized Littelfuse distributors worldwide. For a listing of Littelfuse distributors, visit Littelfuse.com.